Comprehensive evaluations of your vision and eye health are a significant part of preventive health care. Routine adult exams can detect ocular disease at a very early stage, even before you are aware of any symptoms. With children, pediatric exams are extremely important so that vision conditions can be diagnosed before they cause learning delays. In sum, total eye exams go a long way towards preventing vision loss, and our team of optometrists at Risk Optometric Associates is pleased to provide this service for you. Risk Optometric Associates was founded in 1997 by Dr. Kent Risk, and at present we boast a qualified staff of fifteen experienced eye doctors who look forward to providing premier eye care services! 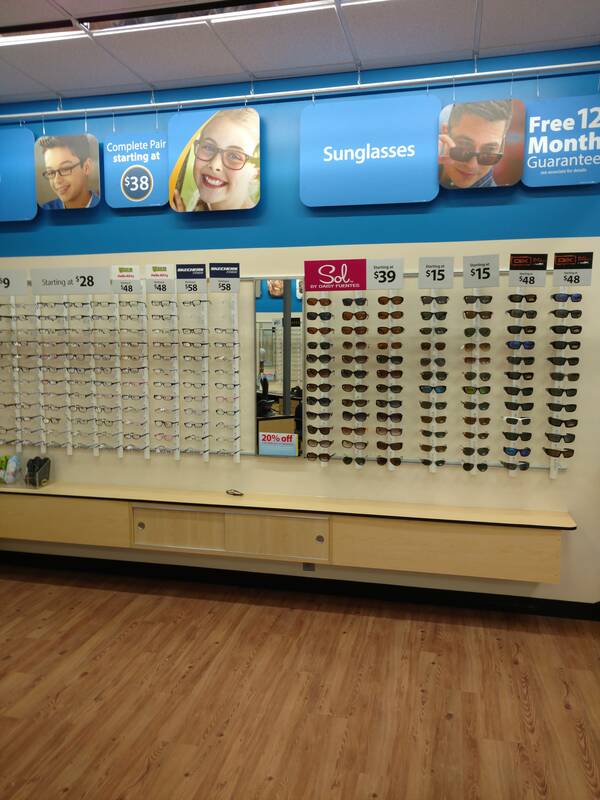 We have 9 different locations in Central North Carolina, and 8 of them are situated conveniently within a Walmart. Please schedule your eye exam in the office near you, either in Fayetteville, Hope Mills, Aberdeen, Fort Bragg, Raeford, Jacksonville or Hendersonville, NC. A review of your patient history: Your eye doctor will inquire as to any vision or eye problems you may be experiencing, in addition to asking questions about your general health. Be sure to mention any medications you are taking currently, as well as any other conditions that may be impacting your vision. It’s important to note any history of eye disease in the family, or any other health issues that you may have. Preliminary testing: This entails a check of your depth perception, eye muscle mobility, your pupils’ response to light, color and peripheral vision. Eye teaming: Your eyes need to pair and work together in order to see a single image clearly. We will assess your binocular vision and accommodation to check how your eyes move together and focus. Quality of vision: You will be asked to read an eye chart at various distances in order to assess your visual acuity. A measurement of 20/20 is normal distance vision. To diagnose astigmatism, nearsightedness or farsightedness, refractive error needs to be checked. Your eye doctor will manually evaluate your vision by using a phoropter, which involves having you peer through a series of lenses. You’ll be asked to provide feedback on which lenses grant you the best vision. Your eye doctor will also use a retinoscope to measure how light is focused by these lenses. Evaluation of ocular health: A high-powered lens may be used to inspect the inner tissues of your eye. With this view, our optometrists can diagnose or rule out possible diseases or problems. We will discuss all of our findings with you and work together to find the best treatment plan. The American Optometric Association recommends regular eye exams for all adults and children, regardless of age or physical condition. Call us at Risk Optometric Associates in Fayetteville, or at the Central North Carolina branch that’s most convenient for you, and reserve your appointment today!